In only a few hours, Clear-FX changes the aesthetic appearance of a vehicle so dramatically that it leaves you speechless ... The Clear-FX technology revolutionises the detailing industry by saving time, delivering better results and the most lasting and remarkable finish. I WAS ABOUT TO SELL MY CAR AND IT HAD MAJOR SCRATCHES EVERYWHERE. I WAS VERY SURPRISED TO SEE HOW CLEAR-FX MADE THEM DISAPPEAR AND THAT MY CAR WAS LIKE NEW AGAIN. I WAS ABLE TO INCREASE MY PRICE AND SELL IT FASTER! THANKS VERY MUCH! A system that gives pre-owned vehicles the permanent appearance of a new one. Our vehicle restoration system “Clear-FX Automotive Refinishing System™” consists of our clear coat restoration process – Clear-FX Restoration™, our restoration process specifically designed for paint chips – Clear-FX Paint™, and our finish protection – Clear-FX Protect™. This system is a permanent restoration process, is applied to the vehicle by professionals, and provides a deep, lustrous sheen with no paint chips nor defects and a high-quality protective clear coat. So, in three simple steps, marks disappear, the luster is restored and the new finish protects. The “Clear-FX Automotive Refinishing System” effectively reconditions your vehicle’s entire body. 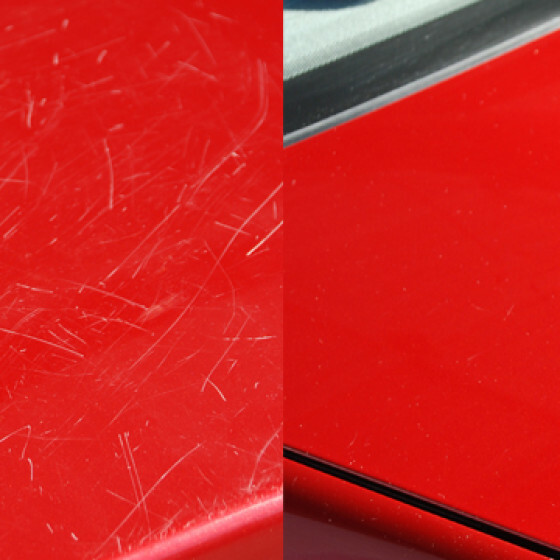 Permanently repairs scratches, swirl markings, oxidation, fading and other damages. Protects against fading, road salt, oxidation, scratches, bad weather and much more. Permanently restores paint chips, road damage (scratches), minor abrasions and deeper scuffs. Provides a seamless, smooth, even and uniform finish. Protects against further discoloration, road salt, oxidation, scratches, bad weather and much more. Provides lasting shine and colour. T hanks to Clear-FX Restoration™, 99% of clear coat scratches, paint deterioration and imperfections are splendidly repaired, reconditioned and restored. The faded look of a vehicle that spent many hours on the road under the sun is brought back to its original shine and deep luster. 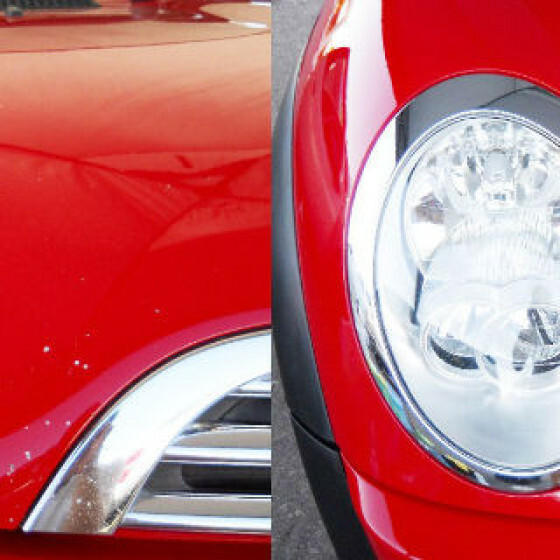 In addition to looking great, Clear-FX protects the vehicle against fading, salt, oxidation, scratches and more. Furthermore, Clear-FX is environmentally friendly. It is an effective method that is applied by hand, which means that its VOC levels are compliant with the EPA and will not end up in the local water tables or get sprayed into the air. The application of Clear-FX does not require a paint shop. Adding shine to existing scratches or temporarily covering swirl markings using waxes and sealing compounds will do little to solve the underlying problem and will wash away, whereas the Clear-FX Restoration™ is a two-part chemical treatment that adheres to the existing clear coat. This means that Clear-FX Restoration™ will not come off nor flake, wash off or react to everyday chemicals. In fact, we believe in this product’s property so much that we provide a guarantee against these reactions. Clear-FX Restoration™ is not a temporary solution; it provides a tough, durable, protective and permanent coat that is as effective as today’s paints. Clear-FX Restoration™ effectively removes scratches, abrasions, swirl markings, discoloration, oxidation, minor road damage and other imperfections. Most automotive detailing methods attempt to remove the layer of clear coat so that existing scratches and imperfections disappear. This method literally removes a layer of the existing clear coat, which gives the paint a dull look and often eliminates the protective clear coat layer. Instead, Clear-FX Restoration™ literally chemically repairs the damaged clear coat, by levelling it and filling the damaged areas. Thus, instead of reducing the clear coat to the common baselines, Clear-FX Restoration™ increases the entire quality of the vehicle. Clear-FX Restoration™ is not a wax, a polish compound, a sealant or a “special” coating: it is a treatment that also hardens steadily. Unlike traditional polish and reconditioners, this product actually repairs imperfections and restores the vehicle to its original state and in less time. This product is versatile, consistent and revolutionary. Clear-FX Restoration™ treats the underlying cause by restoring the integrity of the vehicle. It is a unique product and is not available anywhere else. In short: this product repairs permanently. T he Clear-FX Paint™ system is designed to work directly with Clear-FX Restoration. This system ensures that deep paint chips and dents in the vehicle are corrected and repaired so that the beauty of the new vehicle’s luster is not tarnished by any remaining paint damage to the bodywork. While some people try to fill chips and dents using a small brush, we believe that this system has several flaws, the main one being that the liquid, when simply deposited on a surface, tends to create a spherical shape and the paint flecks, when filled with a small brush, become “drops” rather than chips. Instead of filling them with drops of paint, the Clear-FX Paint™ system lays the paint inside the chip with a process that ensures that the finish is uniform. No drops, just an even fill. This system works well for most paint chips and the resulting salt and pepper appearance on hoods caused by pebbles after much driving. This system, combined with Clear-FX, will ensure the vehicle’s high level of quality and great look. L ike all clear coats, once the vehicle’s finish is restored using Clear-FX Restoration™, it remains exposed to daily wear, marks and scratches. Using the latest superior technology, Clear-FX Protect™ further protects the vehicle against such incidents for up to six months. It can then be re-applied for another six months of protection. Clear -FX Protect™ is the finishing touch and the extra layer of protection that a vehicle needs when repaired and restored with Clear-FX Restoration™ and Clear-FX Paint™ respectively. Just think of Protect as a screen protector on a new cell or as a super-wax on a beautiful paint job. 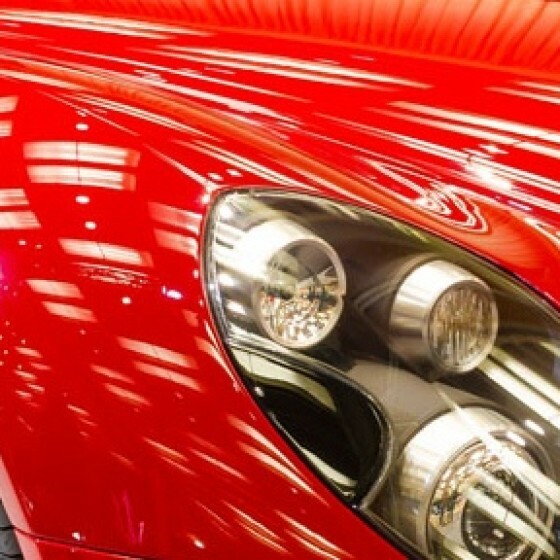 It gives the vehicle a beautiful glossy finish with strong and lasting protection against further damage. For generations, automotive detailing was the most efficient method to restore faded paint to a high gloss. Although this traditional method remains an integral part of the aesthetic, Clear-FX is transforming the automotive detailing thanks to its advanced technology that provides better quality finishes in much less time and without the headache of reconditioning and polishing. Dealers no longer have to worry about the long and painful task of using the sander-polisher on a vehicle – then fighting against swirl markings, deep scratches, and other problems. Clear-FX has the solution. O ver the past decade, dealers sold an average of nearly $ 338 billion in cars – that is almost 41 million vehicles per year. With all these vehicles that change hands and the many kilometers spent on the road with tree twigs that scratch, rocks that chip and sun that fades the paint, the exterior quality of any vehicle is compromised. But that’s to be expected. What if we told you that it should not? What if there was another way? 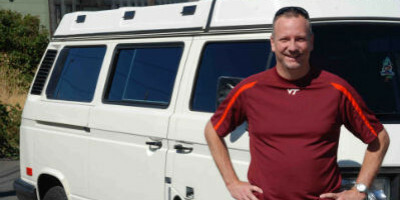 What if someone could completely restore a vehicle, efficiently and at a lower cost? With Clear-FX, you can! Swirl marks and paint discoloration may reappear when polishing products and waxes are washed away by rain, a pressure washer, or just time. Traditionally, detailing a complete vehicle that was significantly damaged may take hours if not days. Valuable time is spent on the sander-polisher to erase swirl marks and scratches, thus creating more dust and requiring more polishing paste and cleaning. Serious scratches are difficult to remove and often so deep that trying to correct this problem could lead to perforation in the body. A high-speed sander can remove layers of the vehicle’s clear coat and increase surface defects – hence removing the clear coat depth and luster. The swirl marksandother minor defectshave been repaired instead of being merely aestheticallycovered: they no longer exist.A newfinish andglosswere added andwill not wash off. The restorationof an entirevehicleonly takes a fewHuman resourcesand materialare spared.Nocleaning time required.Simply applyClear-FX andit’s done. Deep scratchesare filledand repairedinstead of havingtosand theclear coataround them. This essentiallyeliminates the risk of perforation. The former clear coat wascarefully treatedand repaired-restoringthe splendor ofthe vehiclewhile maintaining itsoriginal integrity. CLEAR-FX REPAIRS INSTEAD OF REDUCING THE TOP COAT. IT REBUILTS IT RATHER THAN DESTROYING IT. IT IS FASTER, DURABLE AND DELIVERS POWEFUL RESULTS. Reconditioning and polishing has had and continues to have its place. Historically, this was the only other possible option (other than repainting the entire vehicle) to remove scratches, swirls and other damages. Its role as a method of vehicle maintenance and as a solution for single scratches continues to have merit. Nevertheless, why spend endless hours removing layer after layer of the only thing that protects a vehicle against most damages? In what other circumstances could we justify the systematic attempt to erase signs of damage with more damage? The fact is that with traditional reconditioning and polishing, all that time and effort is spent trying to remove scratches by removing the depth and luster of the paint. Clear-FX is not a product for DIYers and we only license certified and skilled technicians. Clear-FX offers a simple license that will allow a person or a company to use the Clear-FX Automotive Restoration System (automobile restoration) for their business activities. Whether you are passionate about cars, want to add an incredible service to your existing business that will set you apart, or are looking for a business opportunity in a growing sector, Clear FX is your answer. The combination of a flexible product of rare value with an unparalleled professional service gives you a business that is easy to start and maintain. Implement new services, develop new skills, save time and trust a system on which you can rely. Clear-FX offers much more than a product, it delivers results! Whether you are in this country or abroad, if you have a body shop, are a retailer or just want to start a new business, Clear-FX can provide you with an unequaled opportunity. These before and after pictures are from actual clients and have not been modified – 100% real illustrations demonstrating the power of the Clear-FX system. Wherever you are, we'd like to hear from you. Whether you wish to become a licensee, have your vehicle restored with Clear-FX or just ask a few questions, contact us today. We look forward to receiving your questions and comments. Copyright © 2014 Clear-FX, LLC. All Rights Reserved.